His method was a blend of clinical observations, laboratory analyses, and chemotherapy. Basically, Revici would analyze the urine, blood, and body temperature and place patients in specific categories based on the “imbalance” that was discovered from these tests.He knew that low body temperature tracks perfectly with immune system strength. The Romanian-born physician, who practiced in New York City, applied his wide-ranging discoveries for over sixty years to the treatment of cancer as well as many other disorders, including AIDS, arthritis, Alzheimer’s disease, chronic pain, drug addiction, schizophrenia, allergies, shock, and burns. 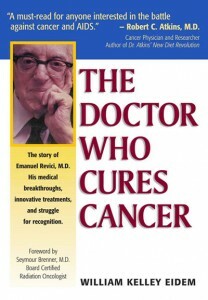 The great majority of his cancer patients were in advanced stages of the illness. Dr. Revici was the first physician to develop selenium compounds low enough in toxicity to give cancer patients doses far in excess of safety limits for ordinary forms of selenium. He did this by chemically bonding the mineral selenium to a lipid. Independent validations of Revici’s findings accumulated over the years concerning the development of a safe, effective means of lipid transport and the use of selenium in a virtually non-toxic form to treat cancer. Revici, who died at a ripe old age of 101, was hounded by the authorities of his time. Dr. Seymour Brenner, a respected radiation oncologist in private practice in New York, testified on Revici’s behalf. 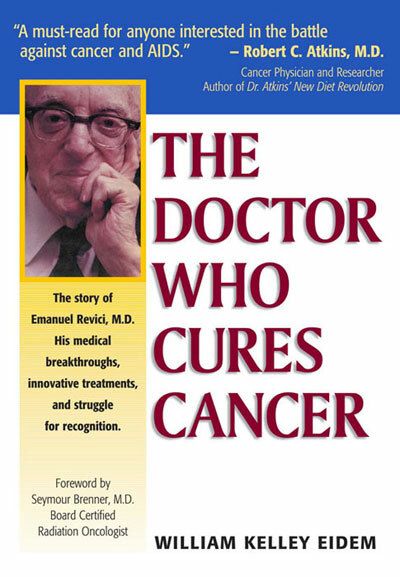 He had investigated a number of patients in very advanced stages of cancer, incurable by orthodox means, whom Revici had put into long remissions. Dr. Brenner had an independent panel of pathologists confirm the diagnosis and stage of illness prior to each patient’s initial visit to Revici. He testified that his personal findings strongly suggest Revici has a cancer treatment deserving further study, and he proposed that such an evaluation be conducted by the FDA. Revici’s use of selenium in the treatment of cancer predates mainstream interest in this mineral by more than twenty years. Selenium is one of the major trace elements always found deficient in cancer-prone populations. Research has shown that it is of value not only in preventing cancer but also in treating it. Revici useed a special molecular form of selenium (bivalent-negative selenium) incorporated in a molecule of fatty acid. In this form, he can administer up to 1 gram of selenium per day, which corresponds to 1 million micrograms per day, reportedly with no toxic side effects. In contrast, too much selenite (hexavalent-positive selenium) has toxic effects on animals, so human intake of commercial selenite is limited to a dosage of only 100 to 150 micrograms by mouth. Dr. Revici often administers his nontoxic form of selenium by injection, usually considered to be four times more powerful than the form given orally. By 1948, Revici had begun exploring the use of selenium in treating cancer and as a means for rendering radiation less harmful. His promising findings on radiation came to the attention of United States Navy scientists testing A-bombs in the Pacific. Twice, the scientists invited him to join them in studying radiation’s harmful effects. 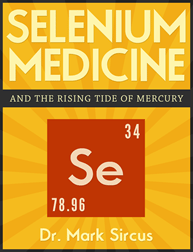 My book on selenium stands as the only comprehensive medical book ever written on the subject. Taking between 20 to 50 mg of selenium is possible when one uses a lipid form. There is no longer anyone doing studies on the use of selenium for cancer patients so it is difficult, to say the least, to confirm its efficacy. However, when one reads up on the subject one can understand why selenium should be used at high dosages when one is trying to prevent or treat cancers of all types. Science knows that people who live in areas of selenium-rich or magnesium-rich soils are many times less likely to get cancer. In China, where the selenium levels in the soils vary much more dramatically than in the United States and the population is less mobile, an ecological study in 1985 showed dramatic results in linking cancer with selenium deficiencies. In the low-selenium classification, three times as many people died from cancer as in the high-selenium classification. Cancer deaths for those taking the selenium were cut almost in half, according to the study that was published in the Journal of the American Medical Association on December 25, 1996. In addition, the people who had taken selenium had 63% fewer prostate cancers, 58% fewer colorectal cancers, 46% fewer lung cancers and overall 37% fewer cancers. Selenium was found to reduce the risk of lung cancer to a greater degree than stopping smoking. This entry was posted in Alternative Medicine, E Patient Health Care, Home Remedies Series, Human Behavior, Introducing, Lifestyle Health, Longevity, Medical Studies, Tele-Medicine and tagged a lipid form, analyze the urine, Dr. Seymour Brenner, E-Patient Health Care, Emanuel Revici, immune system strength, Low body temperature, MD, Revici Selenium Cancer Treatment, unconventional therapy by Admin. Bookmark the permalink.